Snake venom and other toxins’ strength is measured using the LD50 (lethal dose 50%) test. It involves dosing several groups of animals with a substance either by mouth (force-feeding), by injection, via the skin or by inhalation. Animals used have included mice, rats, rabbits, cats, dogs, monkeys, fish and birds. The finishing point of the test is when half of the animals in the group have died. The amount of test substance that kills half the animals gives the LD50 figure. LD50 figures are used, in theory, to indicate the standard toxicity value for each chemical. The distinction between venomous and poisonous animals is that venomous is applied to a creature that has the ability to secrete or utilise its venom externally, while poisonous includes creatures that contain a poisonous substance. Often poisonous creatures are harmless unless eaten whilst venomous creatures can often use their poison as a weapon. Snake venoms are chemicals made up of enzymes. These chemical can have two effects on the snake’s victims. They can paralyse and incapacitate their victim and ,often but not always, the snake venom helps start digesting the prey. There is a distinction between dangerous and deadly snakes. Dangerous snakes are the snakes that kill the most people each year whereas the most deadly snake is the snake that has the most deadly venom. The Fierce Snake or Inland Taipan at the top of The Most Deadly Snake List is rare and does not live near people. This is one version of the Top 10 Deadliest Snake list. Every venom expert has a different top 10. This one takes into account the amount of venom injected in a snake bite and LD50 value. These rare snakes are virtually unknown in outside of Australia. This list was taken from the http://www.reptilegardens.com which is part of reptile garden South Dakota which holds the largest reptile collection in the world. 1) Fierce Snake or Inland Taipan (Oxyuranus microlepidotus ), Australia. This has the most toxic venom of any snake. Maximum yield recorded (for one bite) is 110mg. That would probably be enough to kill over 100 people or 250,000 mice. 2) Australian Brown Snake (Pseudonaja textilis ), Australia. One 1/14,000 of an ounce of this venom is enough to kill a person. 3) Malayan Krait (Bungarus candidus ), Southeast Asia and Indonesia. 50% of the bites from this snake are fatal even with the use of antivenin treatment. 4) Taipan (Oxyuranus scutellatus ), Australia. The venom delivered in a single Taipan bite is enough to kill up to 12,000 guinea pigs. 5) Tiger Snake (Notechis scutatus ), Australia. The Tiger snake is a very aggressive snake that kills more people in Australia that any other snake on that continent. 6) Beaked Sea Snake (Enhydrina schistosa ), South Asian waters Arabian Sea to Coral Sea. 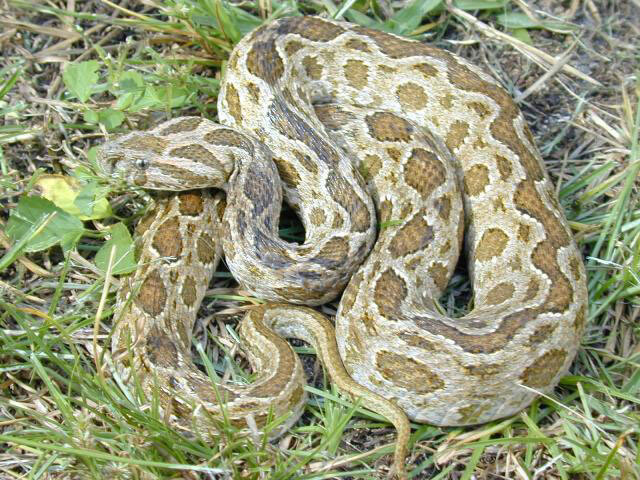 7) Saw Scaled Viper (Echis carinatus ), Middle East Asia. Saw Scaled Vipers kill more people in Africa than all the other venomous African snakes combined. Its venom is 5 times more toxic than that of the cobra. 8) Coral Snake (Micrurus fulvius ), North America. Coral Snakes have a very potent venom but many are too small to deliver enough venom to kill a human. 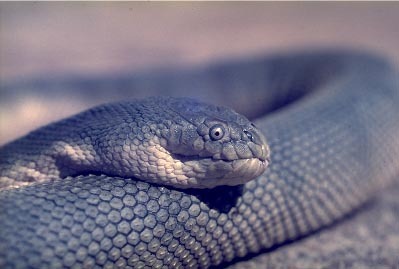 It is elapid (relative of the cobras and mambas). 9) Boomslang (Dispholidus typus ), Africa. The Boomslang is the most seriously venomous rear-fanged snake in the world. They have very long fangs and can open their mouths a full 180 degrees to bite. 10) Death Adder (Acanthophis antarcticus ), Australia and New Guinea. A dosage of 10mg of Death Adder venom is enough to kill a human. A good sized Death Adder can deliver up to 180mg in a single bite. Other snakes that are tied in the #10 position include the Black Mamba, both species of Green Mambas, and the Mojave Rattlesnake.